At Ditmas Park, it’s not really about us. It’s about the patient, every step of the way. But we’ll tell you about us so you can feel good knowing that Ditmas Park may well be the best possible place for you or your loved ones to recover. For over four decades, Ditmas Park Rehab and Care Center has been an undisputed leader of quality rehab and nursing care. Known for our utmost standards of medical practice and compassionate, individualized therapy, Ditmas Park is the trusted place for the journey to recovery and exemplary quality of life for you or your loved one. 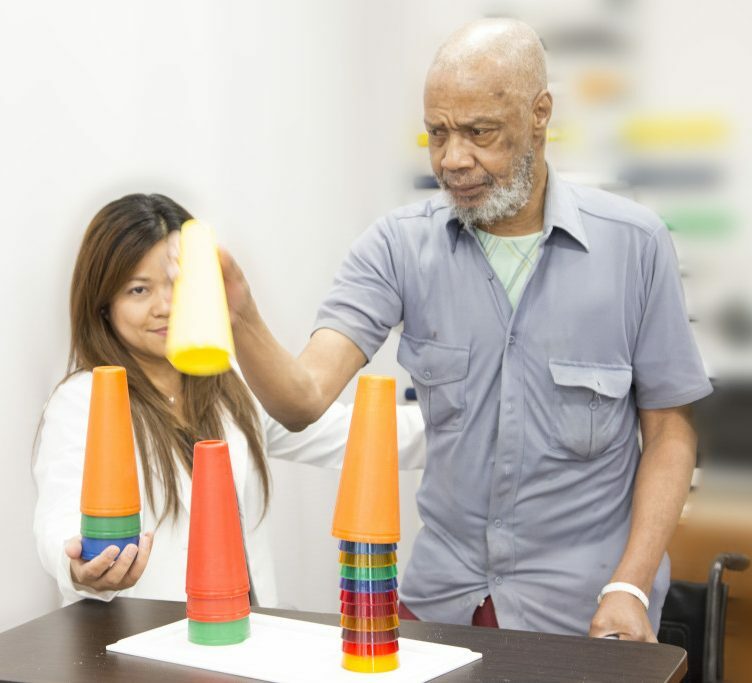 Ditmas Park’s well renowned rehabilitative services have assisted guests in recovering from post stroke, falls that require hip or knee replacement, amputation, arthritis debilitation, sports related or traumatic brain/spinal cord injuries, and other incapacitating illness. Ditmas Park offers speech, occupational, and physical therapy, returning guests-patients to their original level of function. The rehabilitation department provides services based on the recommendations of each guest’s-patient’s physician. People, who are medically stable but not ready to go home, come to Ditmas Park for quality short-term rehabilitation therapy. In addition to offering the gold standard of therapy programs, Ditmas Park is also home to a world class pulmonary program, complete with full service Vent, Trach, and CPAP procedures. Our facility features an expert staff of doctors, therapists and medical personnel along with state-of-the-art equipment, world-class amenities, and even gourmet style cuisine. Our top tier staff is on-call twenty four hours a day, available for our residents’ every need. The goal of our short-term rehabilitation program is to return our patients to their normal lives as quickly and as efficiently as possible. We strive to create individualized treatment plans to restore mobility and health to help you get back to the life you’re accustomed to. In the event that more intensive and continuing care is necessary, Ditmas Park’s long-term rehabilitation is the optimal program of choice. Our specialized team is prepared to handle your specific needs, whatever they may be, to help you heal and restore your quality of life. For our patients who require longer care, we go above and beyond to ensure comfort and to constantly and tirelessly work to improve health. In collaboration with our spectacular nurses and therapists, Ditmas Park’s highly trained physicians are made available to each patient to guarantee that correct treatment is administered for successful results. Our incredibly extensive specialist services set us apart from other rehabilitation centers. We offer neurology, stroke recovery, physiatry, wound rehabilitation, cardiology, pulmonology, dermatology, podiatry, orthopedics, vascular, ENT, dentistry, psychology, psychiatry, and ophthalmology, all provided by our outstanding clinical team. In addition to medical care and therapy for healing the body, Ditmas Park is unique in that it embraces a special concept called Total Body Wellness. Unlike other facilities, Ditmas Park, through its vast experience working with patients, understands that the mind and spirit of a patient plays a significant role on the road to recovery. If a patient is depressed or otherwise feeling down, this can affect recovery. For this reason we have created a Ditmas Park University which offers various activities and methods to ensure patients are in a positive state-of-mind and maintain the vitality of spirit, encouraging a true and well-rounded recovery. To learn more about Ditmas Park University click here. Ditmas Park is completely dedicated to the health and wellbeing of the people it cares for. Let us care for you today!